As part of our commitment to health and wellness, Village Wellness Spas is proud to announce that it supports numerous charitable organizations throughout the year. Village Wellness Spas recognizes the value that a spa getaway can bring to an event, and is regularly invited to donate spa packages and/or gift certificates in support of various charitable initiatives. While we may not be able to furnish each request, we do our best to support as many organizations as possible throughout the year. The Terry Fox Run is a non-competitive event in which participants run, walk, bike or wheel all or a portion of , a 10km course. 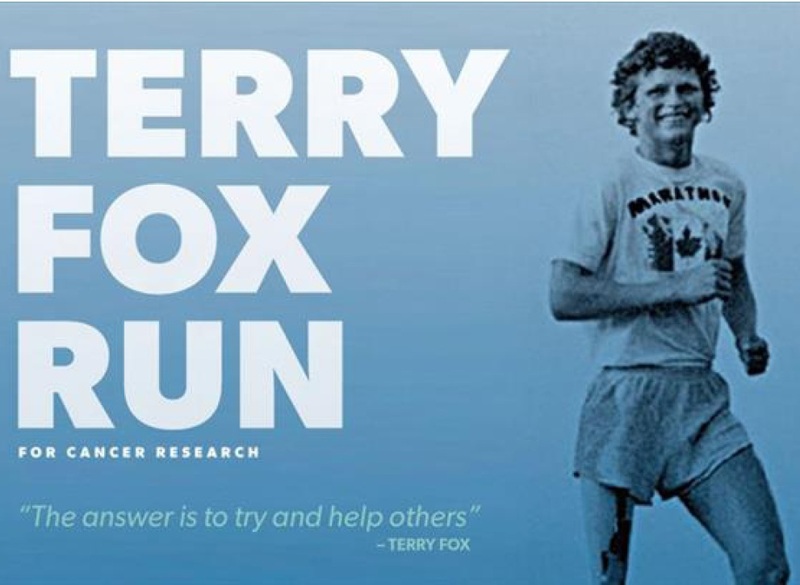 The purpose of the event (and the mandate of the Terry Fox Foundation) is to raise funds for cancer research and to honour the memory of Terry Fox. All funds raised by the Terry Fox Run are forwarded directly to the Terry Fox Foundation to fund cancer research. Village Wellness Spas has been a proud supporter of the Terry Fox Run for over 10 years. “We want all Ontarians to see what we see in each person who has ASD. They have amazing things to offer when we create environments in which they can thrive.” Marg Spolestra, Executive Director, Autism Ontario. This organization works tirelessly to advocate for, and provide support to those affected by autism, and the challenges they face on a day-to-day basis. In 2018, Autism Ontario has been able to support 14,000+ children through their Potential Program and over 2,000 children through their March Break and Summer Reimbursement funds. Village Wellness Spas has been a proud supporter of Autism Ontario since 2003. A couple years ago, Richview Baptist Church began raising the funds needed to drill a well in Guatemala for a community in need. Over the tears, with continued support from community residents and business owners, they have grown and have begun a new project in Nicaragua as well. In order to continue to distribute water purification units and train the local people on how to use and maintain this equipment, they require continued support from the community. Village Wellness Spas has been a proud supporter of the efforts of Richview Baptist Church since 2011.